The opening paragraphs of The Black Tattoo – and anything in any of my books – did not come out like that the first time I wrote them. What you read in my books is the result of a lot of redrafting and polishing. For my thoughts on that, and some glimpses of what the opening of Black Tat might have been, click through to the post on The Book Zone and check the comments. Where do you get your ideas from? It’s the question authors are asked most. Whenever I’m asked I do my best to answer, but while I do I’m often tempted to point out that getting ideas isn’t really the most important bit. “This is often how it happens too. You get that first chunk, the kick-off. And then your fingers stop moving, and the spell wavers… That initial burst of speed fades, and you don’t know how to proceed. You turn to your visitor, that intrusive idea, to check if it has any suggestions, but see it has settled down in a chair in the back of your study, flicking through an old magazine, and realise it’s going to be no help at all. Getting ideas is important. It’s hard to start without them, and sometimes they can take you a long way. But turning ideas into stories – the best stories you can possibly make? That’s where the work is. Some wonderfully penetrating questions about The Black Tattoo in the Black Tat Guestbook this week, from Angela, 12, in Korea. How exactly did Nick get possessed by the Scourge? What were those burns on his hands? Why do the Sons never reveal their names? And what are the Sons of the Scorpion Flail exactly? I mean, why is Number One never really known, and how did Number Two get to be ‘Number Two’ in command? Thanks so much for your kind words. I don’t think I’ve had a message from a reader in Korea before! I’m thrilled and honoured by your questions, because they’re even more of a sign of how much you enjoyed the book than your praise. However, I’m a little hesitant about answering them fully, not because I don’t have answers (I do – or I /think/ I do!) but because the reason I didn’t answer them in the book is that I like stories that leave space for the reader to imagine things for themselves. When everything is laid out for you then there’s no room for any other interpretation, and I think that’s always a shame. So while I can give you a couple of answers, I hope you’ll understand why I’m not going to tell you everything. -In the battle in which Belinda was killed, Nick managed to trap the Scourge in a staff – but only just: that’s how his hands got burned. The problem was, he didn’t complete the ritual by taking the Scourge back to the tree. -If you join the Sons of the Scorpion Flail you have to give up your name — or rather, your number /becomes/ your name. You have no other identity beyond or outside The Sons of the Scorpion Flail. -As to who or what the Sons are beyond what they say to Esme when they first arrive at the theatre, I leave that to you to imagine. HEE HEE HEE! …Meanwhile, this week on Trapped By Monsters, an introduction to The Legendary Richard Matheson. 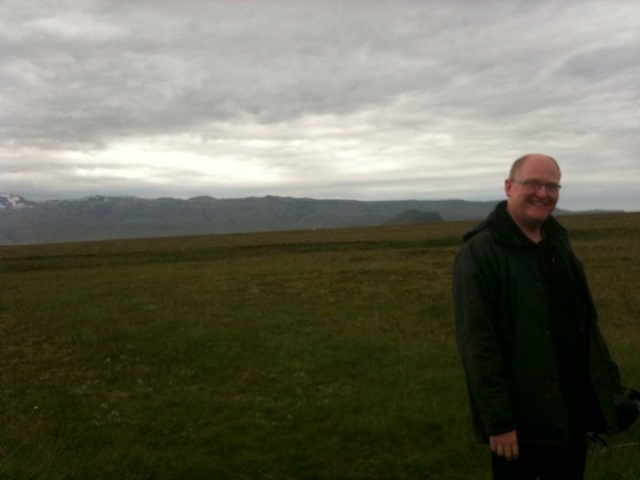 I’ve just spent a week in Iceland. It was wonderful. I love the Icelandic Sagas and I’ve put a big blog piece together about them at Trapped By Monsters. Meanwhile here’s a question that I found waiting for me in the Black Tat Guestbook on my return that (in answering it) allowed me to talk about more stuff I love. Hey Sam, About 2 years ago, I picked up a copy of a book known as The Black Tattoo. I read the first chapter and was instantly enthralled. The book absorbed night after night of my time, and when I was finished with it, I was almost sad to turn it back into the library. Now, I recently purchased The Black Tattoo so I can enjoy the amazing experiences of Charlie, Jack, and Esme again. I must say, this is one of the most impressive books that I have read in quite some time, and I am highly impressed. I’m hoping to see more from you Sam, Signed, a fan, Mick. P.S.- What exactly inspired you to create The Dragon? He’s a favorite character of mine, and I was just wondering how he came into being. Drop me a line if you’re ever free from the grips of the Scourge! Cheers, Mick. Thank you so much for your message. I’m really thrilled and delighted that The Black Tattoo made such an impression on you, and it’s very kind of you to take the time to write and tell me so – much appreciated. To make my books and stories I draw from a bubbling, reeking, belching cauldron of things I love – things that thrill me and make the hairs on the back of my neck stand up. I think that filling a project with your own mix of stuff which does that for you will give you the best chance that other people might enjoy the results too (and I’m always searching for more pungent and tasty ingredients, HEE HEE HEE!) If you’d like to find out more about my work you can keep up with the latest on what I’m up to via my homepage, address below. Just before Christmas I received a parcel containing masses of wonderful letters from students at the last school I visited, Bushey Meads. From Chloe K.: What inspired you to be an author? What inspired me to write – and still inspires me – is how utterly amazing and thrilling and moving and brilliant the experience of reading a great book can be. What made me decide to give being an author my best shot is that life is short and fragile. If you have something you want to do, no matter how mad it might seem, it’s best to get on with it. What were you like as a child? Were you bad or good? If you didn’t want to be an author what would you like to be? Did you write any stories when you were a child? Yes, I did. As well as the ones I was told to write for school, I sometimes used to write stories of my own in my spare time. My favourite subjects for stories were space battles, monsters, murder mysteries, chases, magic and monsters. As I got older there was a while when I decided that perhaps those weren’t suitable subjects to write about somehow, even though I love them. But then, I’m happy to say, I came to my senses. From Esther A.: What inspired you to write thriller books out of all the other genres? Why did you pick thrillers? I write the kinds of books I most love to read. I honestly think that’s the best way to do it. It might not be thrillers for you, but ask yourself: What sort of story would wrap you up in it so tightly that you might forget to eat or sleep while you’re reading it? What sort of story would that be for you, personally? When I sit down to start thinking about a new book the first thing I think about is what sort of book I would most love to read. Sometimes I make a list of what the elements might be (that’s how I started The Black Tattoo). Then, once I’ve planned the story as far as I can, I write it. Don’t worry about genre too much. If you’re a writer, what genre you are is best left to other people to argue over if they want. Your job is to get on with writing the best stories you can think of. From Joe: How old were you when you first started writing books? I was twenty-one when I made my first big attempt to write a novel. I first finished a novel (a different one, btw) when I was, I think, twenty-four. I wrote two more novels after that one, but they weren’t good enough either. I was still learning my craft. I kept going. 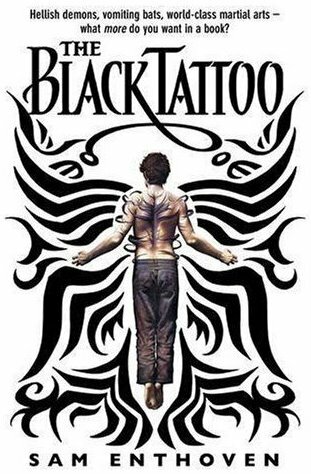 By the time my first published novel The Black Tattoo came out (September 2006) I was thirty-two. From Eliza Q.: How long did it take you to make your books? Crawlers took two years. So did Tim, Defender of the Earth. The Black Tattoo took five years. What is your favourite book you have written? I try to put all my passion and enthusiasm and commitment into every book I write – and as I say, each one takes a big chunk of my life in terms of the time involved in writing it. I can’t say which of my books is my favourite. I’m so close to each one that it’s impossible for me to choose between them. Back to Joe: Did you make up the stories by yourself or did you get some ideas from other books? I don’t believe it’s possible to make up stories completely by yourself. Every story contains ideas from other stories that came before it. That’s why it’s so important to read (and live) as widely as you possibly can. Don’t steal other people’s ideas hoping for their success. But do fill your stories with things that you, personally, would most love to find in a story. Originality isn’t in the ideas themselves, it’s in their mixture – the special blend of influences and enthusiasm and passion that only you can bring to a project. From Dylan L. (and Joe): Do you read books apart from your books? Do you enjoy them? Definitely. I love all kinds of storytelling – films, games, comics, animation, theatre, whatever – but books are my obsession. To me, reading is one of the best things about being alive. I read first thing in the morning while I’m cleaning my teeth, I read last thing at night before I fall asleep and in between, I read any other chance I get. I came to writing because of how much I love reading: reading came first. If you want to know what I’m reading now and find out my favourites check my LibraryThing profile, here. From lots of students: Here’s a character / idea – can you put it in one of your books? I loved reading your ideas. The thing is, though, they’re your ideas. I wish you the best of luck with them, but I’m happy working on my own ones. Are you sure you would want to be? What if you didn’t like the way I wrote you?? Besides, you might not be right for the story. I prefer to mix my characters together using pieces I take from everyone I’ve ever met. So: while it’s possible that a part of you might make it into one of my books, I’m sorry but I can’t possibly accept all of you. How are your stories coming on? Are you working on another book? HELL YES! I’ll give you an update in my next blog post. 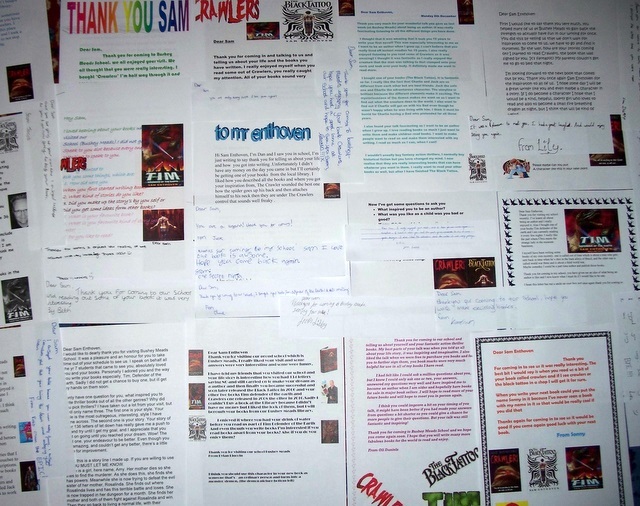 A big THANK YOU to all my correspondents from Bushey Meads School, including (as well as the names I’ve mentioned above) Isabel, Danielle C., George P., Jessica D.F., Charlotte D., George T., Beth, Lauren, Eloise, Marco F., Emily, ‘The Secret Ninja’, Oliver P., Jack, Taylor W., Olivia, Kristian, Lily, Libby, Luke, Jacob, Ross O. ‘The Epic’, Danny, Taylor M., Shea J., Matt B., Nick W., Kate S., Chris B., Maria C., Chelsea F., Danyaal M., Ben S., Nathan R., Harry L., Dan, Adam G., Jake E., Oli D., Sonny, Laura M., Kristy T. and Ben H.
I was touched and thrilled by your kind words about my visit and my work, and I really appreciate your taking the time to write to me. Thank you again. The Chainsaw Gang‘s shadowy mastermind Sarwat Chadda has struck again. Myself, Alex Bell, Alexander Gordon Smith, William Hussey, Steve Feasey, Jon Mayhew, Sarah Silverwood, Stephen Deas and David Gatward have all been nastily assimilated into a terrifying, all-consuming, unholy mutant gene-splice of Blog Tour and… Christmas Carol? Yes: as I type these words it’s just begun, at the most excellent My Favourite Books. Prepare yourself, gentle reader, for The Twelve Deaths of Christmas! Verse One at My Favourite Books: When writing Horror for young people, how much is too much? Verse Two at Mr Ripley’s Enchanted Books: How would you describe yourself as a character in one of your books? Verse Three at Narratively Speaking: What’s the spookiest place you’ve ever visited? Verse Four at Wondrous Reads: If you could be in any Horror movie, which would you choose and who would you play (part one)? Verse Five at The Book Zone: What is your favourite movie death? Verse Six at Book Gazing: Which books are you looking forward to receiving as Christmas presents this year (part one)? Verse Seven – and our 12 DEATHS GIVEAWAY, FOLLOW THIS LINK TO FIND OUT HOW TO WIN! – at Book Gazing: Which books are you looking forward to receiving as Christmas presents this year (part two)? Verse Eight – ‘Eight Crawlers Creeping!’ – at The Book Zone: Who from Horror history would you invite to a Halloween meal? and What scares you? Verse Nine – and more details re our 12 DEATHS GIVEAWAY! - at Wondrous Reads: If you could be in any Horror movie, which would you choose and who would you play (part two)? Verse Ten at Narratively Speaking: What is your favourite Horror story? Why did you choose to write about going to Hell in The Black Tattoo? Some authors say books are based on things they want to do, so do you want to go there? When I was putting the ideas together for what became The Black Tattoo I was thinking a lot about fantasy places in books, particularly ones that can supposedly be reached from our own world: Narnia, Hogwarts, etc. I decided that instead of making one up from scratch, it might be more fun to take a world that people supposedly ‘know’ already – then play with readers’ expectations. I don’t want to go there. I don’t think most writers actually want to go to the worlds they write about, not really. With effort and concentration, imagining can be just as good – or better. Do your stories have bits of yourself in? If so, what? Do you mean do my stories include real things from my life? Yes: definitely. Every story does. And I think every writer does it – or if they don’t, they should. Putting real experiences (your own or other people’s) into stories gives them solidity, makes them believable. I think that’s especially important in fantasy stories, as it helps give the reader something real to hang onto when the going gets weird. But you don’t just drop them in wholesale: you stretch them, twist them, fit them to the tale you want to tell. One example from The Black Tattoo would be the break-up of Charlie’s family. At the time my own parents split up I felt some of the same kind of rage that drives Charlie and makes it so easy for the Scourge to manipulate him. Years later (and I get on fine with both my parents these days, by the way) I took those real experiences and added them to the mix that became the book. I play guitar in a band. I listen to music, play games, watch films – and I read. I read first thing in the morning while I’m cleaning my teeth; I read last thing at night before I sleep. I also read any other chance I get. Why is the Scourge known as Khentimentu? Does it have some meaning? There’s an Egyptian god called Khentimentiu (with an ‘i’ in it) – but the Scourge isn’t him. Khentimentu is the Scourge’s demon name. Whatever meaning you attach to that is up to you. What gave you the idea of a living tattoo? Ideas can come from anywhere. That one came (believe it or not) from the New Zealand Tourist Board. When I was at university I had a bad habit of falling asleep in front of the tv. One night I woke up and thought I was still dreaming: what I saw on the screen was a lady model in a bikini – but she had thick black Maori tattoos appearing from nowhere all over her skin, like a darkness from inside of her was eating her alive. I think the advertisement was trying to show that visiting New Zealand leaves an impression on a person. The image they’d chosen to do that certainly left an impression on me: I thought it was one of the most sinister things I’d ever seen! Three, smallish, on my right arm: a pair of dolphins, my favourite coffee mug, and a six-legged cat alien reading a book on the moon. I asked my illustrator friend Barnaby Richards to design that last one for me when I got my first book deal. The same thing that keeps me going: I remember the first books I read that opened my mind to what books can do, how deeply thrilling they can be – the books that turned reading from what I’d thought was a chore into one of the central passions and pleasures of my life. If one of my stories could have that effect on someone else…. wow. That’s an inspiring goal to work towards, it seems to me. When I’m not out performing at schools, libraries, bookshops etc (which I love, by the way), my day is pretty regular. I get up about 9.30. I exercise (t’ai chi, rowing machine) for about an hour, and after breakfast and whatnot I’m at the desk around noon. I write first, until I’ve done what I set out to do that day, or for as long as I can. Then I do admin: arranging events, running my websites and blogs, answering correspondence. There’s a break in there for lunch around four or five pm. I usually stop work around nine. So that’s about eight hours a day, five days a week. Writing is a job and should be treated as such. From how you write The Black Tattoo, it seems you’re not a very religious person; not believing God is always watching over us? I’m interested in religions, and the effects they have on people and the world. But I’m yet to come across one I agree with. The Q&A sections of the websites of my books have some tips in there from me: be my guest. My two favourite pieces of advice come from other authors. From Lee Child: “Write the exact book that you yourself would be thrilled to read.” The tough bits of writing are much easier to get through if you love and believe in your story. From Harry Crews: “The secret of writing? Put your &ss on the chair.” If you want to be an author you need to sit down, stay there and do it. What is the process of planning involved in your work? I plan as much as I can. It’s the best way to fill your story with things you care about. It’s also important to know that one day a project will end! But planning only takes you so far: there’s always a point where you realise that the remaining pieces will only come from getting started – seeing how your characters react with each other, how a situation develops. That point arrives at different times with different projects. But when it does, there’s nothing else to do but jump in and hope for the best. Did you always want to be a writer as a child or did you have dreams of other professions? ‘But… I like monsters,’ I would say. In short, my teachers were fine with my technique, but they didn’t approve of my content. As a result, I didn’t see writing as something I would pursue seriously until I was quite a bit older – 21 or 22. Where did you get the idea to write a book about demons from? If you, personally, were to come across a book that had everything you want in a story – one that once you started reading it you wouldn’t want to stop, even to eat or sleep – what sort of a book would it be? What would the elements be? When you write, you think of incredible worlds? I write what I love – stories that contain a lot of action and fantastical elements, particularly (heh!) monsters. So: a lot of my job as a writer, I think, is to take those incredible things and make them feel credible – realistic – to the reader. The reader has to believe in what’s happening in a story, or they won’t be taken along for the ride. Are these worlds part of your imagination or something you see in your day to day life? It’s a mixture: I think that’s the best way to make something feel real to the reader. Whether it’s a seven-way gladiatorial fight to the death in Hell (in The Black Tattoo), a building-shattering giant monster smackdown (in Tim, Defender of the Earth) or a horrifying secret alien takeover (Crawlers) – as an author, you do your best to make the reader believe that these things are really happening, by using realistic details from life. A lot of it comes from thinking about characters: if the people (or monsters!) these things are happening to feel real, with real feelings, real danger, then there’s a good chance that the reader will believe in the scene. How do you describe these unimaginable, incredible, crazy worlds? Would you like-expect that the readers who read your book experience this? I would hope so, yes, definitely. If they’re not picturing what’s happening and feeling what I want them to feel then that means they’re not fully immersed in the story. And that means I haven’t been doing my job properly. Do you go through an endless chain of emotions during writing and reading? I haven’t found an end to the chain so far! Communicating and experiencing emotion is one of the most important parts of all human creative endeavour, isn’t it? Where do you usually read? write? I do most of my writing where I’m sitting right now typing this: in my bedroom in my flat in north London, England, at a desk made out of two chests of drawers and the planks of a wardrobe that I took to pieces when I first moved here twelve years ago. Reading, however, I do EVERWHERE. I read first thing in the morning while I’m cleaning my teeth. I read last thing at night when I’m about to go to sleep, and in between I read at any chance I get – on trains, on the sofa, standing up, sitting down, wherever. Thanks and best wishes to Marite and everyone who reads this. PS: Here’s a little something I posted to TBM yesterday about one of my favourite authors, Neal Asher.